Thank you all so much for your wonderful comments about my Anna dress, I really do appreciate them. Thanks also to everybody who entered the Polished Button giveaway - I'm so pleased you liked the look of the gorgeous vintage inspired goodies in the shop. 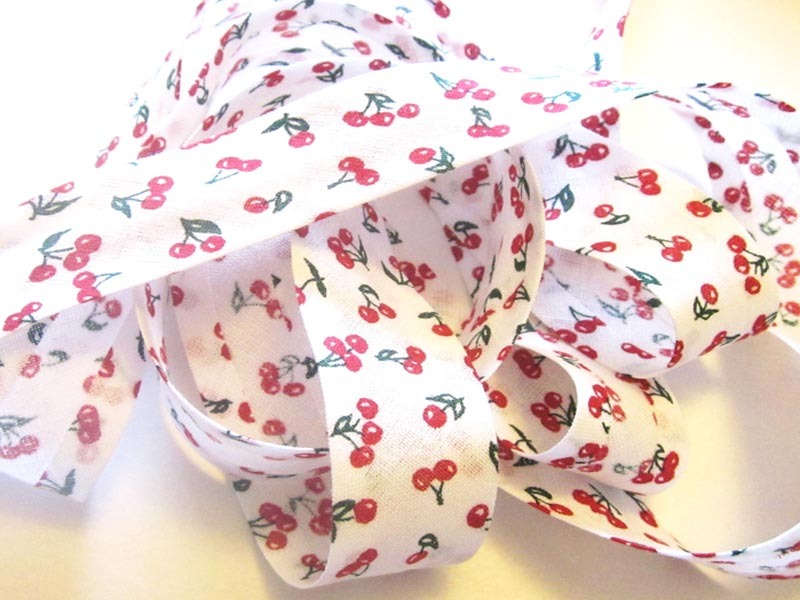 The randomly chosen winner of a metre of cherry print fabric, along with a metre of cherry bias binding is … Amy from Almond Rock! Yippee and congratulations! Please email me your address Amy and I'll forward your details to the Polished Button. Don't forget, readers of my blog can still claim a 10% discount on all purchases from The Polished Button. Just enter the code Jane10 when checking out of the site. The 10% discount code is valid until the end of August. 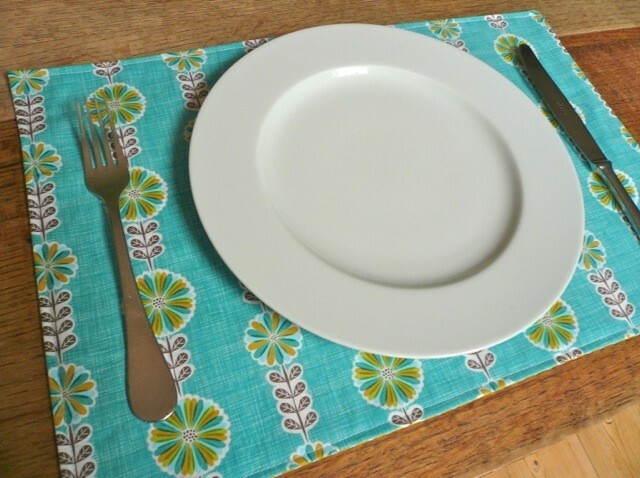 One last thing - if you have a burning desire to make yourself a set of placemats (and let's face it, who doesn't?) 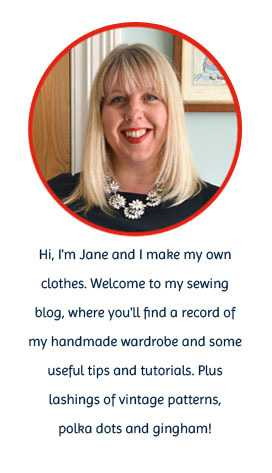 then get yourself over to the My Daily website where you can find an easy peasy tutorial written by my very own self. Ah, the Anna dress - I bought this pattern the second it was released and it was love at first sight. The kimono sleeves, the panelled A-line shape, the slash neck and the super flattering front bodice tucks - gorgeous! And just look at that packaging! I'm a sucker for stylish packaging and By Hand London patterns are by far the most beautiful I've come across to date. I went for the midi version as I'm really not a maxi dress kind of girl. But, never say never eh? That thigh high split is quite tempting and I haven't totally butchered the skirt pieces, maybe one day.... So, what do I like about this dress? Pretty much everything! 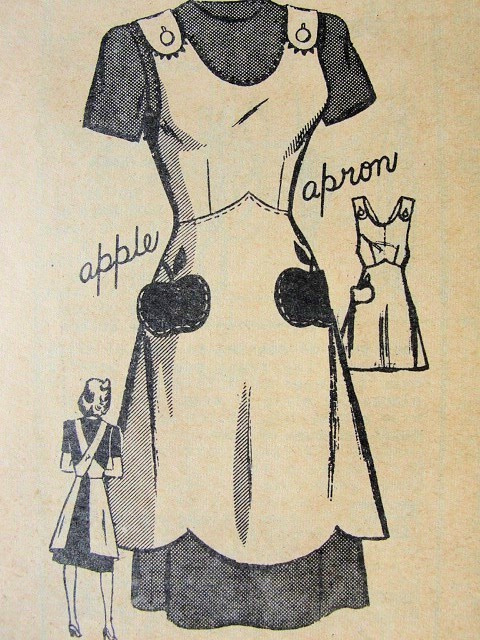 My favourite detail is the tucks at the waist instead of darts - this is a detail I've seen a lot in vintage patterns. I love the way the clever placement of the tucks adds shape to the bust, so pretty. It's also a nice change not to have to set in sleeves - hoorah for kimono sleeves! One final thing I like about this pattern is the neckline. I'll admit, I was a bit wary of the slash neck at first but I needn't have worried. Miraculously it manages to cover my bra straps without me having to pull them right down. It's cut a little lower than a boat neck so has a slight curve, which as well as being flattering doesn't sit right across your wind pipe. For fabric I chose Brussels Washer in yarn dyed chambray, which must surely win the prize for most ridiculous fabric name of all time. 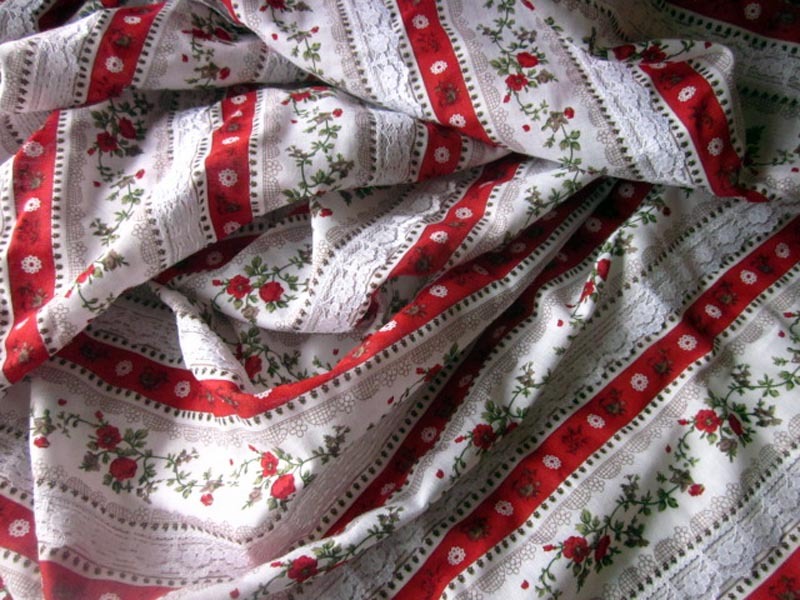 One of the fabric suggestions for this pattern is rayon and this is a linen/rayon mix. 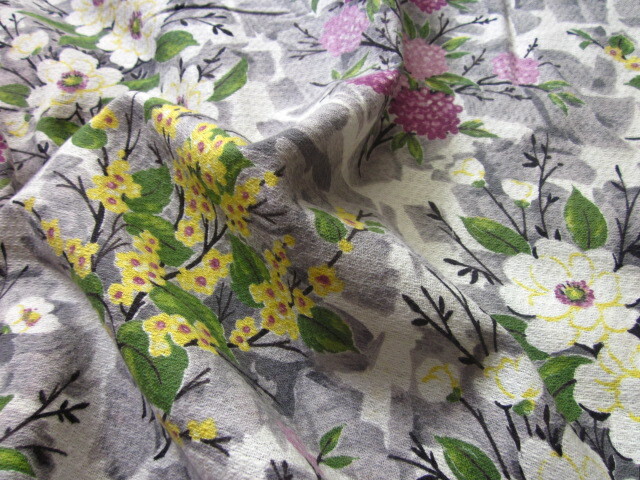 It's a lovely cool fabric, but very drapey and I did think at first that it might look a bit sack-like when sewn up. With this pattern, the fitted bodice comes to the rescue, giving the dress a loosely structured modern look I really like. The dress isn't lined or underlined, it's just me and 2.5 metres of Brussels Washer, wonderfully cool for my hols and so, so comfortable. It is a very plain look, but that gives me the perfect excuse to tart it up with red accessories! This dress was amazingly quick to make, it can hardly have taken me more than a couple of hours - a perfect dress for a beginner to try their hand at. I made a UK size 12 and the fit was more or less spot on. Apart from a complete and utter brain freeze when it came to inserting the invisible zip (don't ask, I had to unpick it in the end and insert a plain old centred one instead), this was an easy make and a joy to sew. The only adjustment I made was to take two inches off the length, making it just knee length on me. If the pattern had been released a few weeks earlier, I'm in no doubt that I'd have made at least two more versions of this dress. As it is, my kids have now finished school for the summer, so sewing more or less grinds to a halt for six weeks. But...there WILL be more in the pipeline, never fear! Especially given the response I've had so far - I wore it to go supermarket shopping yesterday (I know, rock and roll!) and received not one, but TWO compliments from complete strangers!!! One woman's actual words were: "I really admire the cut of your dress"!!! I've never been so flattered and delighted in all my life! In summary, I absolutely LOVE this dress, it fits like a glove straight from the packet, it's insanely easy to sew and I feel fabulous in it. What more could you ask for?! PS. Don't forget my Polished Button giveaway which runs until Sunday 28th July. School's (almost) out for summer and the sun is SHINING, so what better way to celebrate than with a giveaway! I've teamed up with The Polished Button to offer you a lovely hand picked treat to kick start your summer. The Polished Button is run by Ruth, a former costume designer and vintage clothing dealer who has put together a small, but perfectly formed selection of vintage inspired sewing goodies on her website. The idea is to offer a 'one stop shop' for sewers including authentic and retro style fabrics, vintage and retro patterns (including a great selection of 1970's sundresses) and haberdashery all in one place. 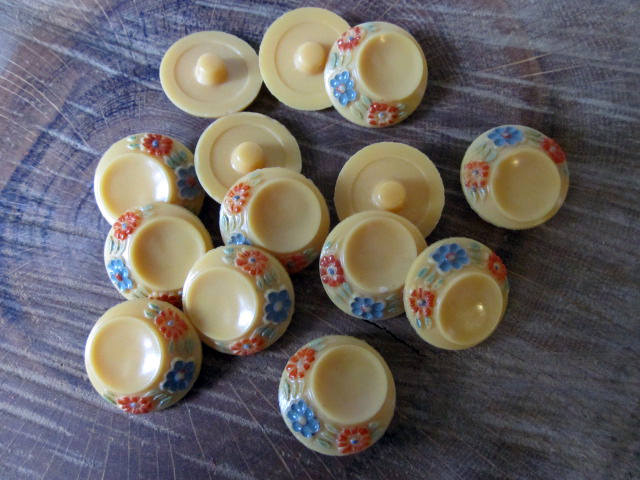 …as did these darling 1930's floral buttons…. 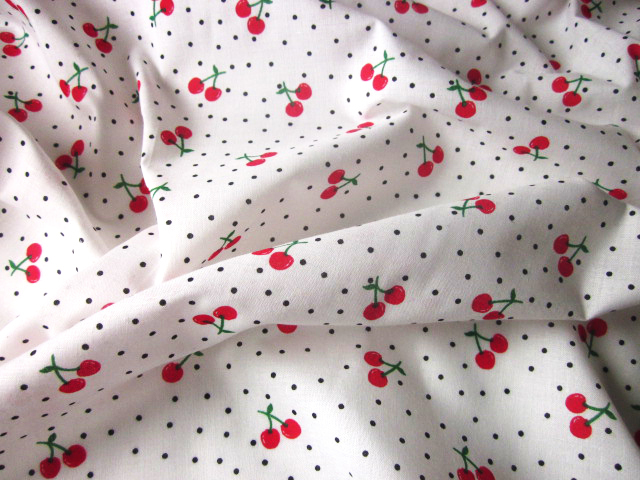 But you all know I have a weak spot for a cherry print, or indeed anything cherry inspired, so in the end I settled for this crisp, summery cherry print fabric. Ruth is very generously offering one winner a metre of the cherry print fabric, along with a metre of this lovely cherry bias binding. To enter the giveaway all you have to do is take a look at The Polished Button website and leave a comment on this post telling me what your favourite product is. The giveaway is open internationally and closes at midnight GMT on Sunday 28th July. The winner will be chosen at random. But that's not all, if you're not lucky enough to be the winner, don't despair! Readers of my blog can still claim a 10% discount on all purchases from The Polished Button. Hoorah! Just enter the code Jane10 when checking out of the site. The 10% discount code is valid until the end of August. Thank you so much to Ruth from The Polished Button for offering this awesome giveaway. Good luck everybody! When I see a handmade item I like, nine times out of ten I'll resist it, telling myself "I can make that." But every so often, I see something that's so beautifully made I know I'd never be able to replicate it or make my own version. Sometimes the quality and attention to detail is just so good that's there's only one thing to do - buy it! 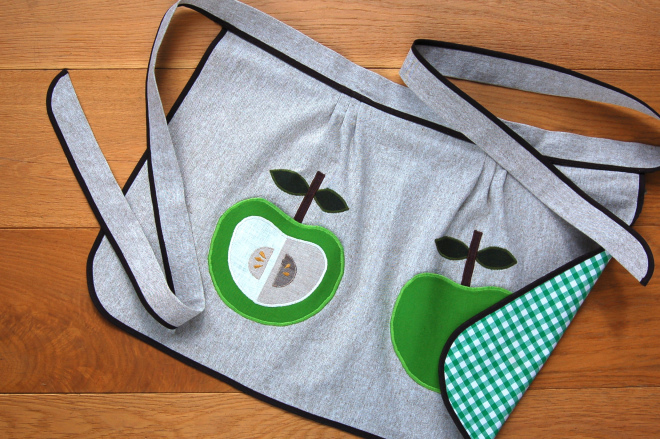 That's what happened recently when I saw the wonderful apple-themed half aprons that Beth at The Linen Cat had just listed in her shop. 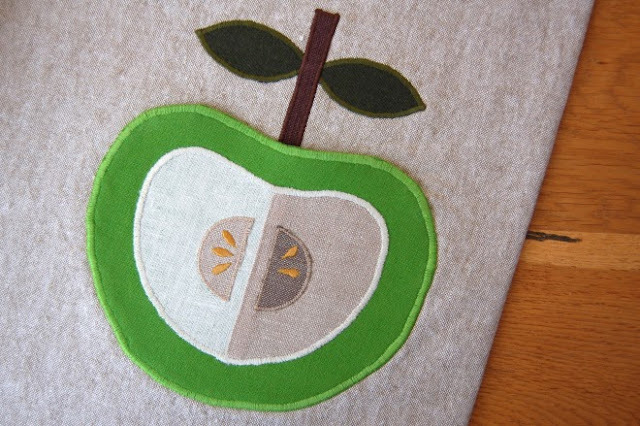 I'll admit, I have a soft spot for apple themed crafts and fabrics: I have this skirt as proof and there are always at least two or three different apple print items amongst my craft fair stock. But as soon as I saw Beth's aprons and read her blog post about the whole process of making them - I knew I had to have one. 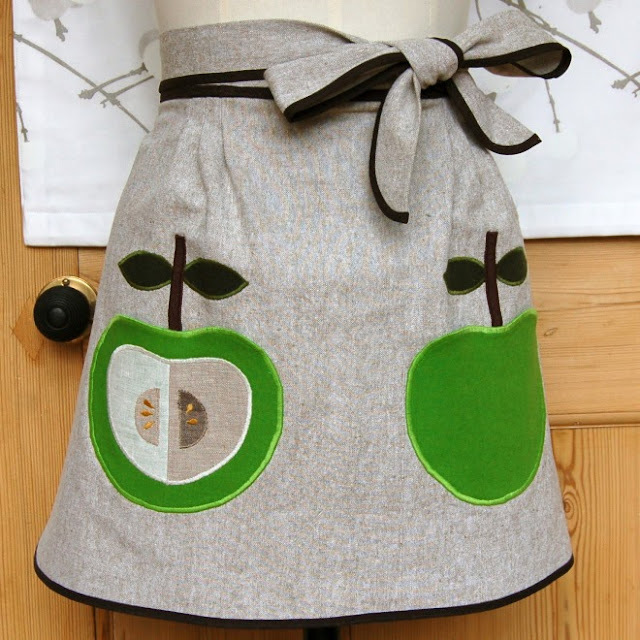 Not because I actually need another apron, but because I can't NOT have this one! What I like about Beth's work is the attention to detail and the excellent finish. There are not one but two beautifully applied pockets - just look at that apple, she's even sewn on pips! The apron is also quite flattering to wear. She's added little pleats to the waist and made the ties super long so you can tie them at the front. More like a classy little backless skirt than an apron really! This wasn't a cheap buy as aprons go, but what I think you're paying for is the quality of the materials and the amount of work that's gone into making it perfect. It's far, far superior to anything I could ever attempt myself and I'm more than happy to shell out for that. Has anything ever impressed you so much that you just have to surrender and buy it? Or do you always try and come up with the goods yourself? Good afternoon. First off, the winner of the book giveaway is Clipped Curves - hoorah! Congratulations Clipped Curves, please email me your address and I'll get the book sent out to you. Thank you to everybody who entered and for all your summer reading suggestions. Right, on with the sewing… When the latest Butterick patterns by Gertie were released, I pounced on this one (B5895) within seconds. A kimono sleeved, tie fronted blouse and sassy stretch Capri pants. Swoon. Even the cover artwork looked good - I could quite happily have made all the variations on the front cover. I started with the trousers first though, as they looked like the easier make of the two. I used a lovely stretch indigo denim which I bought on a recent fabric buying trip to the Goldhawk Road with Tilly. Sometimes a fabric shopping buddy can really come in useful. I'd told Tilly what I had in mind whilst we were eating cakes and planning our strategy beforehand, she then firmly steered me away from a murky looking denim I was wavering over, straight to this one. It's perfect, just the right amount of stretch and a bargain too at £5 a metre. As it's wide, I only needed 1.5m, so £7.50 for these beauties. Not bad eh?! I'd read in reviews that there's a lot of ease in the trousers, so I cut a size 12, even though the size 14 is probably nearer the truth. The reviewers were right - I still had to make quite a few adjustments to get the fit right and next time, I'll cut a size 10. As is my lazy way, I didn't make a muslin, but I was able to make all the adjustments on the go which was lucky. I took in quite a bit off the hips (they looked like jodphurs when I first tried them on), a bit from the inner thigh and reduced the front crotch curve all the way down. I left the back crotch curve exactly as it was and look at the result. This pattern was made for my backside! Despite being figure hugging, they're surprisingly comfortable to wear (although not in the current heat), which must all be down to using stretch fabric. I love the retro feel of them too, it makes me feel like I should be hanging out at a soda fountain or playing a ukelele…. It's my son's - I can't play a note! Next up I'm planning a turquoise gingham version of the blouse. Good job a bolt of turquoise gingham has recently landed on my door step then! I've actually made a tiny dent in my gingham mountain already. Look, gingham pockets! Beatrice from Butterflies and Hurricanes has just had exactly the same idea, even down to the pockets! And there was I thinking I was being original! I love her version though and I can't wait to get started on the matching blouse. Oh woe is me, I have really bad toothache! Having had part of my back tooth shaved off (without anaesthetic…) this morning, I'm now on antibiotics, which don't take effect for 48 hours. Whinge whinge, cry, cry! I feel like Dudley Moore in '10'! Let's look on the positive side instead shall we? The sun is shining in London, a British man has just won Wimbledon for the first time in 77 years and I have a book to give away. Hoorah! Gregoire Delacourt’s The List of My Desires is about Jocelyne, a 47 year old woman who lives in a provincial French town and runs a haberdashery shop. 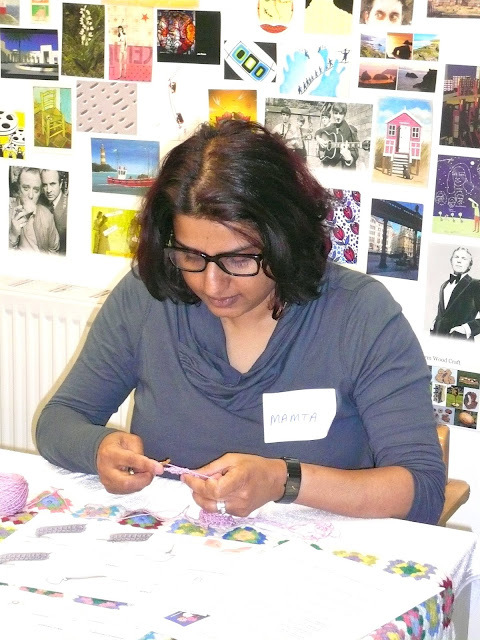 She also writes a blog about needlecraft and knitting, which brings together a community of women who find pleasure and inspiration through their love of sewing. Everything changes when Jocelyne wins the lottery and realises that her life could change completely. Without cashing the cheque, she writes down a ‘list of desires’ and weighs up whether the simple, good things in her life will make her happier than a new Chanel handbag. I was sent a copy to read by the publisher a few weeks ago, who described it as a beautiful book about dressmaking. In my honest opinion, it's a charming novel and a VERY quick read (I read it on one return train journey) but it's pretty light on the dressmaking/sewing content I was expecting. Jocelyne's haberdashery shop and blog are very minor elements of the plot. To me, the novel seemed to focus more on the different relationships in her life (husband, parents, children, friends) and the choices she's forced to make. Some of her experiences and choices are ones that we've all had to make, which I did find quite thought provoking. And the small town French setting and daily interactions with her fellow shopkeepers reminded me a tiny bit of Chocolat by Joanne Harris, but maybe that was just the French setting? A copy of The List of My Desires was given to me free of charge for review. All views my own. Last night I was spending a quiet evening at home, watching 'England's 100 Greatest Goals' with my son (the sacrifices we make as parents…) when the doorbell rang. It was my friend Siobhan - she'd been organising a big event and wondered if I would like three bolts of gingham fabric that were going begging! After I'd been brought round with smelling salts, I gratefully accepted and she got them from her car. Apparently they were destined for the bin when she suddenly remembered somebody who might like them. Me, Me, ME!!! There's a one inch navy gingham which is a little bit shiny, but I'm sure that won't put me off, a good underlining will soon tone it down. 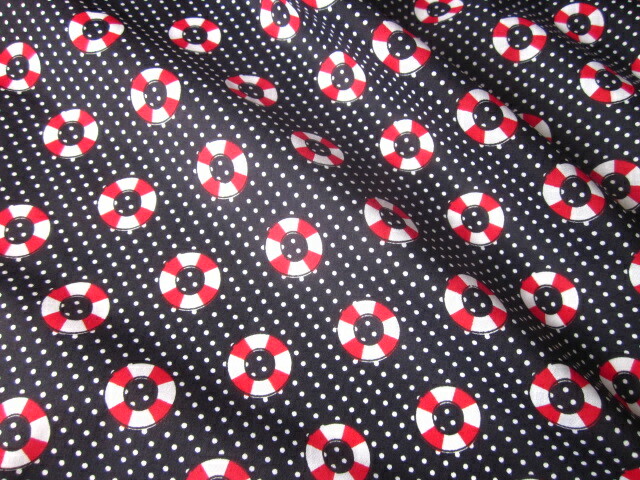 Next is a ¼ inch turquoise gingham (my favourite) which I've already got plans to turn into a 1950's style tie front top. 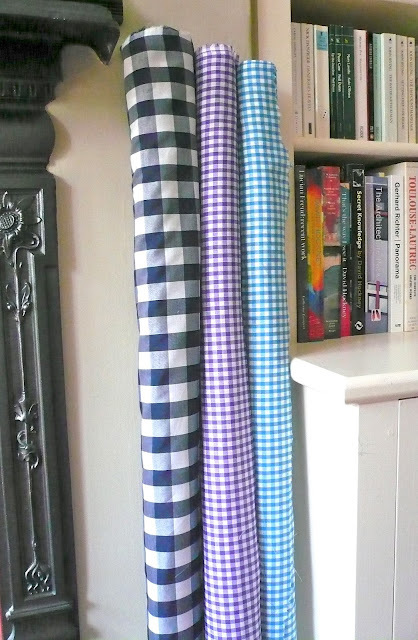 Then there's a ¼ inch purple gingham. Now it's a little known fact that I actively dislike the colour purple. I love it on other people but it really doesn't float my boat (ironically, it's my saviour Siobhan's favourite colour…) However, when I draped a bit of purple gingham from this bolt around me, I actually quite liked it. That's the power of gingham see? It's so awesome and amazing it will even turn lifelong purple-phobes to the other side, just by the enticing lure of those alternately shaded squares! I may start with something like PJ bottoms and see if it changes my feelings about purple. If not, I'll still have a lifetime's supply of muslin making fabric. It's a win, win situation! Does anybody else have a particular colour aversion? Which do you dislike? Which do you love? And have you ever had somebody unexpectedly rescue three bolts of your favourite fabric and present them to you as a gift? No? Maybe that's just me then, the luckiest girl in the world! Whatever my feelings about purple, this is one gift I am SO grateful and thankful for - thank you Siobhan! After that visit, 'England's 100 Greatest Goals' suddenly seemed like the most exciting DVD ever invented! A week or two ago, I tried my hand at crochet for the first time ever. My only experience of yarn-based crafts is being taught to knit by my Nanny when I was about seven, which wasn't a great success. The scarf I made ended up with unexplained holes running right through it (ahem) and all these years later I still remember just not feeling it with knitting. As for crochet, it was something I never even bothered to try to learn as my mum was an expert crocheter. She crocheted blankets, hats, and even a dress for me when I was in my early twenties. Here's a crocheted poncho, modelled here by a baby Handmade Jane when she was a mere eight bricks high! But the thing I will always remember my mum crocheting and which was brought back to me after reading Scruffy Badger's wonderful recent post about her own crafty mum, was ABBA hats. 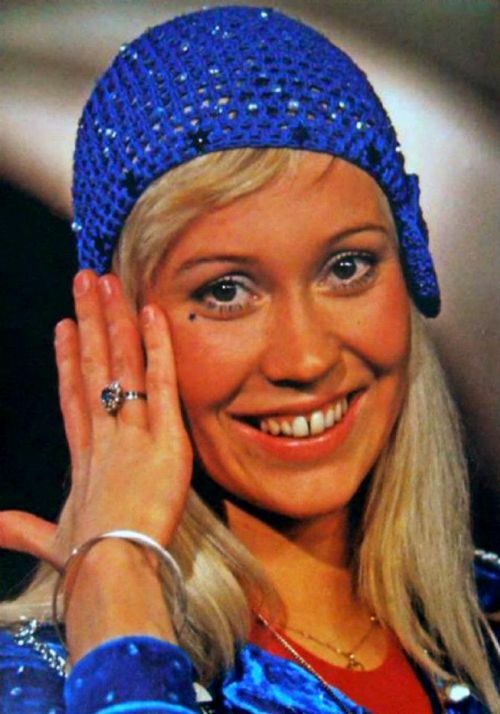 By an ABBA hat, I mean a crocheted skull cap with a flower on the side, as worn by Agnetha herself. She used to crochet tons of them, then sell them to her colleagues in the hospital where she worked. They were very popular and she could barely make them fast enough - I used to love watching her make them. Ah, happy days! 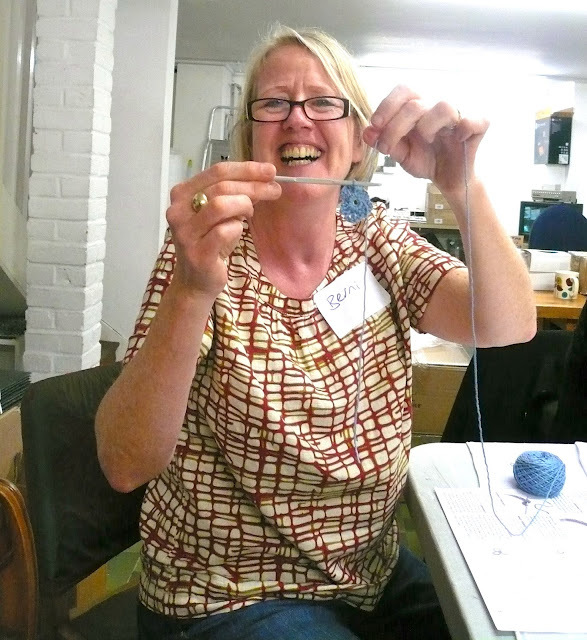 So along I went to a three hour crochet workshop with my friends Berni and Chris. There were only five of us in the class, so the teacher - Emma - could give us all quite a bit of attention. We started by learning how to make a chain of stitches. Then we were taught how to do a treble stitch. Then the two skills were put together to make a crochet flower. Chris and Mamta picked it up immediately and their stitches were enviably perfect. Berni took a while to pick it up, but she got it eventually and was thrilled with the progress she made. However, myself and the fifth attendee - Bekka - sadly just didn't get it at all. I simply couldn't work out what was happening and it took me almost an hour to actually get my hands to hold the crochet hook and yarn the correct way. Like a lot of crafts, I think the more I practice, the better I'll become and maybe crochet won't seem like a complete and utter mystery anymore. Maybe? I don't know, the work I did at the workshop was pretty dreadful. Here's the fruit of my three hour labour - the teeniest tiniest crocheted flower you're ever likely to see, riddled with holes, and not intentional ones either. Despite this, I really enjoyed the lesson and it was great seeing my friends discover skills they didn't realise they had. It was also reassuring that I wasn't the only one who just didn't have a clue what was going on (thank you Bekka!) I doubt whether I'll try to conquer crochet by myself though, I just didn't feel the love! I've a gut feeling that for me, crochet will be a bit like using chopsticks - something I've tried to master and still can't get to grips with years later. My brain just doesn't get it! I wonder if that's the experience of anybody else or if I'm just a bit thick where crochet is concerned? Has anybody else struggled to understand how to crochet and suddenly a light of understanding goes on? Does it take years of practice? Or did you all pick it up straight away? And finally, did anybody else's mum crochet ABBA hats in the seventies? !